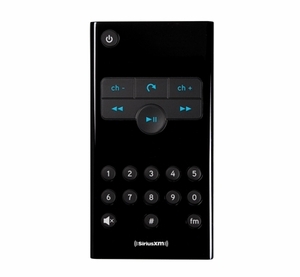 Genuine replacement remote control for the SiriusXM Lynx portable radio. Also compatible with most other XM radio models, including the Onyx line of radios. Features back, pause/play, and forward buttons, number and preset entry buttons, and mute. Not all button functions compatible with all model radios.